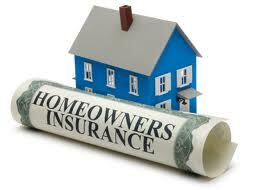 How Important is Homeowner’s Insurance? When you buy a new car, what’s the first thing you do? Not only is it required, but it gives you instant peace of mind in case something unexpected occurs. Is It Throwing Money Away? You may have heard that buying insurance is just like throwing money away every month, because how often do you get into an accident? The same thing is true for your new home. It’s impossible to predict everything that can go wrong with a house, whether it’s new or used. With this in mind, you need to have a policy that is going to protect you from financial damages. Most of the time, it’s difficult to pay for the full repair and correction of major problems. Having an insurance policy in hand only requires you to pay the deductible you agreed to. If you already have this amount set aside in case of an emergency, then it won’t touch your daily budget. The types of claims that homeowner’s insurance can protect you from are quite various. These include everything from robberies, vandalism, property damage and even injuries to family members or guests. If you add on additional features such as flood or earthquake insurance, then it protects you from external sources as well. Acts of God will no longer be as scary when you have this kind of financial protection behind you. The second one of these events occurs and you don’t have this insurance protection, you’ll sorely miss it. It could potentially bankrupt you if you don’t have enough money to rebuild your home from the ground up. With that in mind, how important is homeowner’s insurance? Pretty important, in fact, in some cases, it could be lifesaving. Don’t leave yourself or your family in dire straits. Talk to a local insurance agent today about your options and let them work around your current budget. If you can do this, then you can relax a little bit and know when life throws punches, you have a real estate bodyguard in front of you. « Real Estate Market—Going Up or Down?